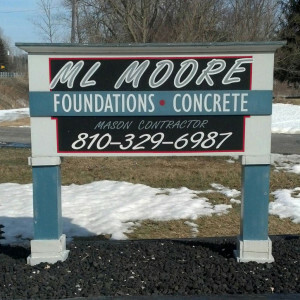 For over 25 years, M L Moore & Associates Inc has delivered first-rate construction and foundation repair work for countless customers in Michigan. Our years of professional experience have given us a level of expertise and flexibility other companies can only aspire to, both for the excellence of our workmanship and the responsiveness of our service. For your next project in block basements, all types of footings, basement repairs, or concrete floors & driveways, contact M L Moore & Associates Inc.
Don’t wait – give us a call today for your free estimate.